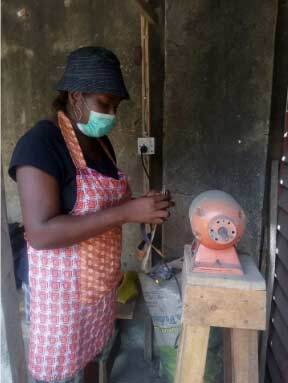 The world of shoe-making is now becoming a booming business with the influx of young female entrepreneurs like Onyinye Edith Chima. 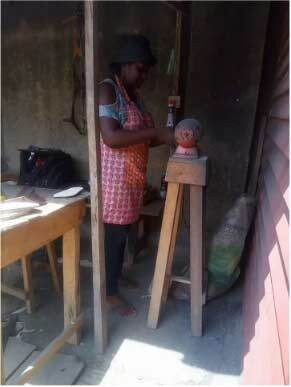 The exceptionally talented young lady is a graduate of English and Literary Studies from the Ekiti State University. 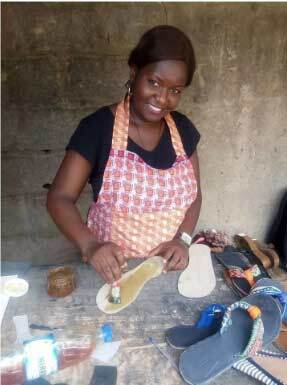 She prides herself in making uniquely different footwears for both men and women. 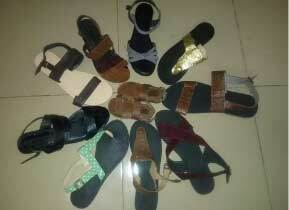 "I am into unisex footwear making. I acquired the skill in 2015 and I am still learning because new designs come up daily. 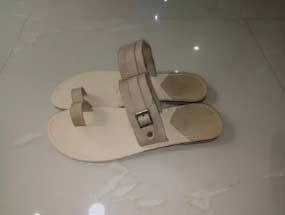 I did my NYSC 2016 last year, I had to learn another skill, Liquid Soap Production which I am also into now. I named my business 'Adorable Creation' though it's not registered yet. "I see myself going places, having my own factory, employing and also assisting the masses by creating job opportunities. This is because as we all know there isn't any job in our country, so people need to get 'a handwork' apart from the monthly salary job,which most times some don't get paid at the end of the month. "This shoe-making is not something I want to do and then stop after a while. With the help of God, handwork, commitment and financial help, I believe I will achieve my goal." Miss Chima went further to admonish the general public to acquire at least one skill, especially ladies. "Before I got an admission into the university, I had it in mind that I will be my own boss. We ladies shouldn't just wait for that job because it isn't forthcoming. Let's create our own job, Let us make the difference we wish to see around us. Nigerians need to also learn to patronize 'made-in Naija' products."